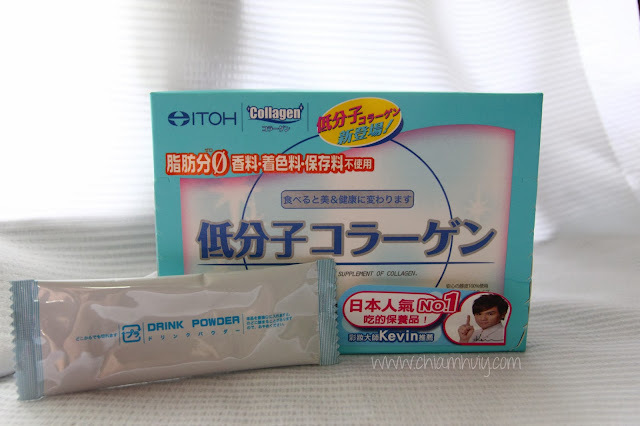 I've never tried any Collagen Supplements before and I thought it'll be interesting to give it a try. 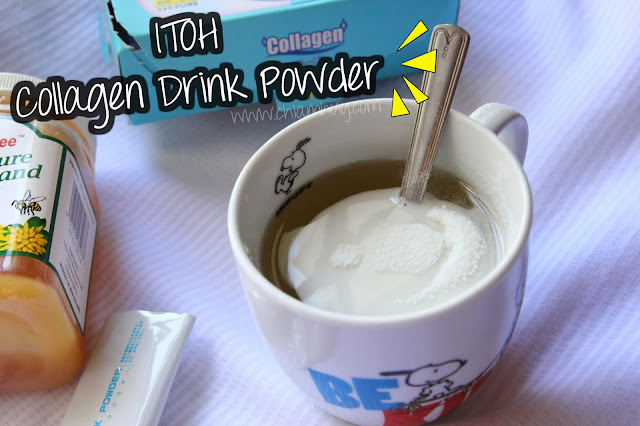 I've heard of many beauty gurus raving about collagen drinks, collagen jelly and even collagen powder! 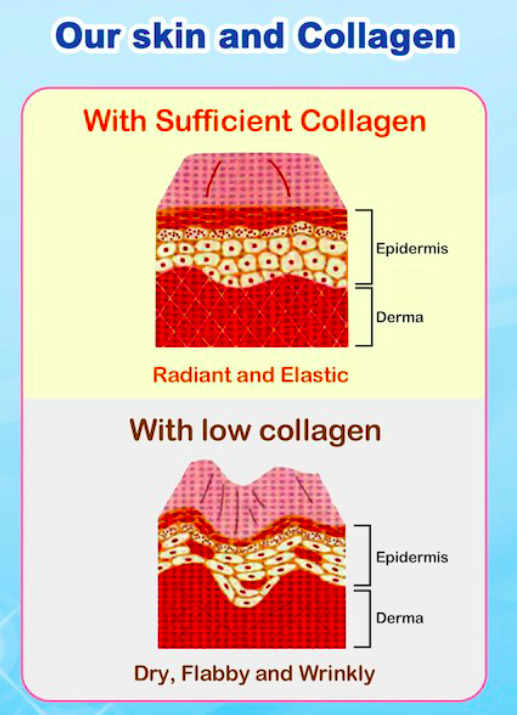 Collagen is a super complicated thing to understand, here's what you need to know: As we age, collagen production slows down and our skin will start to show some ageing signs. 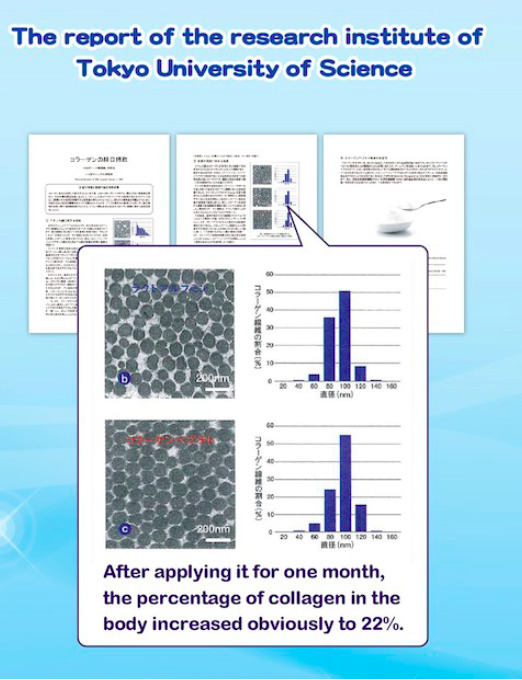 Signs of ageing can be wrinkles, sagging skin and lifeless looks; the thought of them really scares me! 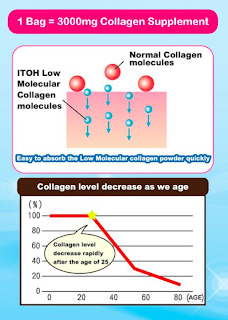 Thanks to Itoh Collagen, I can replenish the collagen lost over the years. My first collagen supplement was none other than Itoh Collagen Drink Powder. 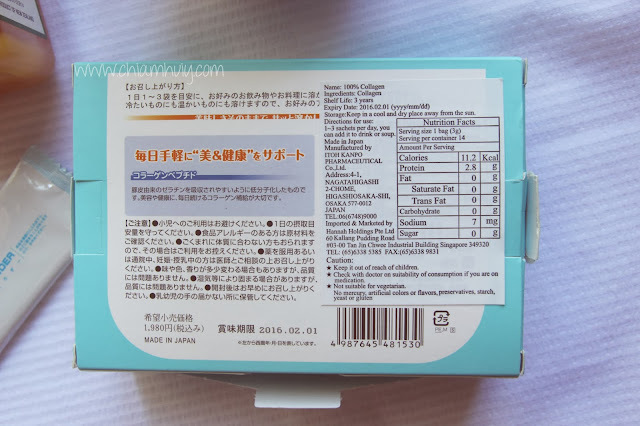 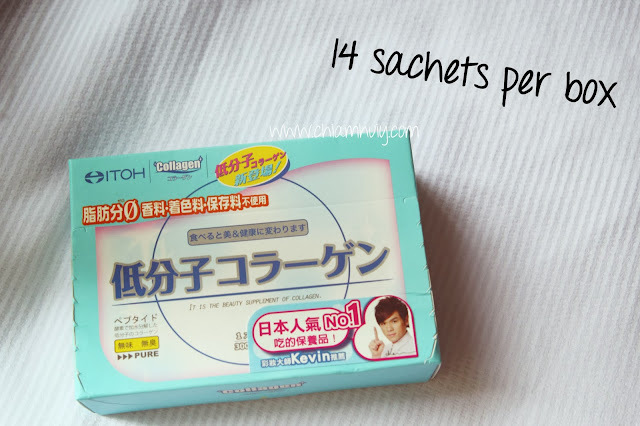 There's exactly 14 sachets in a box of Itoh Collagen Drink Powder. Itoh Collagen is priced at $49.90 per box and is now available in Guardian Stores! 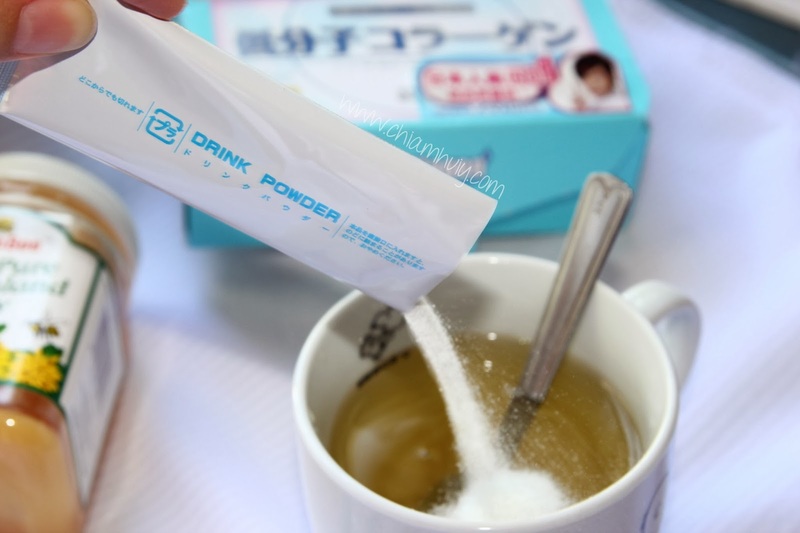 There are many ways to mix the collagen drink powder, it can be into any beverages or soup. 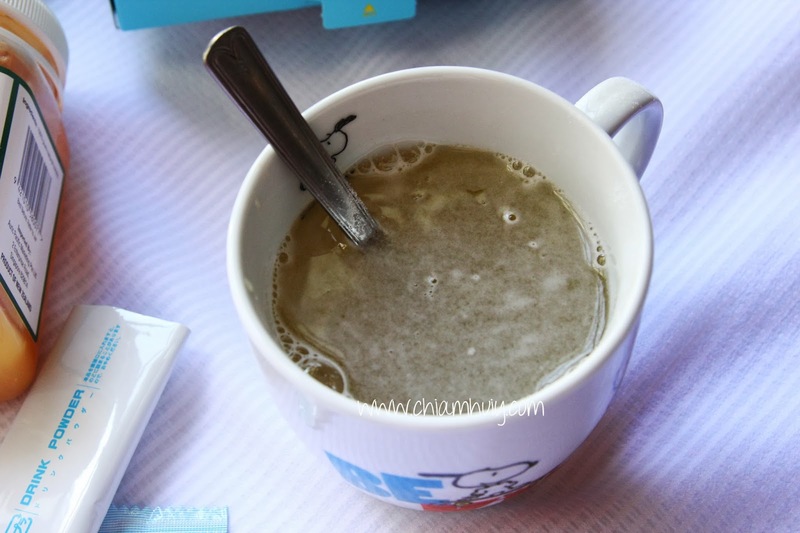 Here, I'm pouring the collagen powder into a cup of home-made honey drink. 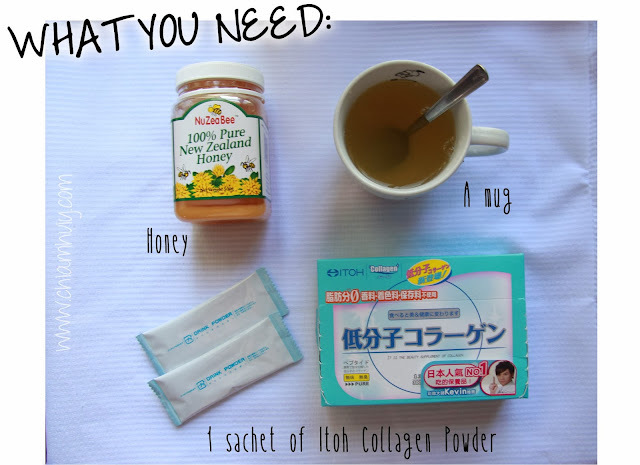 Each sachet of Itoh Collagen contains 3000mg of Collagen, which is an ideal amount you need per day. 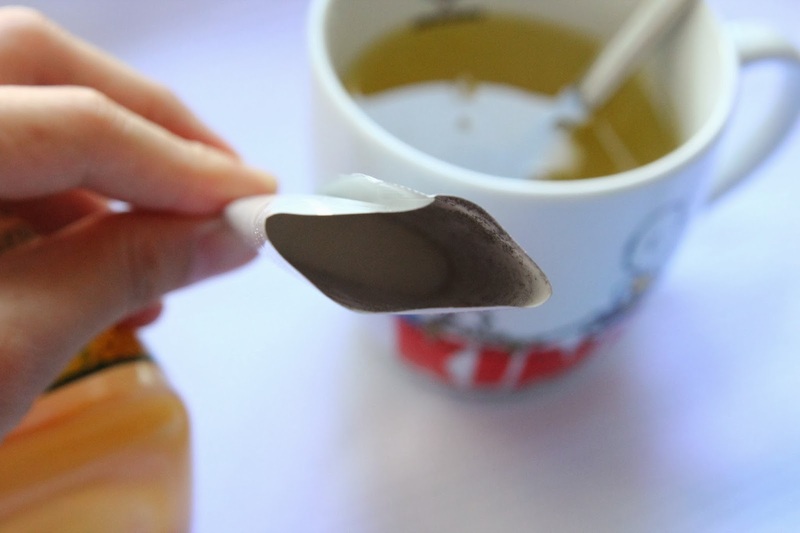 You can consume it throughout the day but it's recommended to consume with an empty stomach or before you sleep. 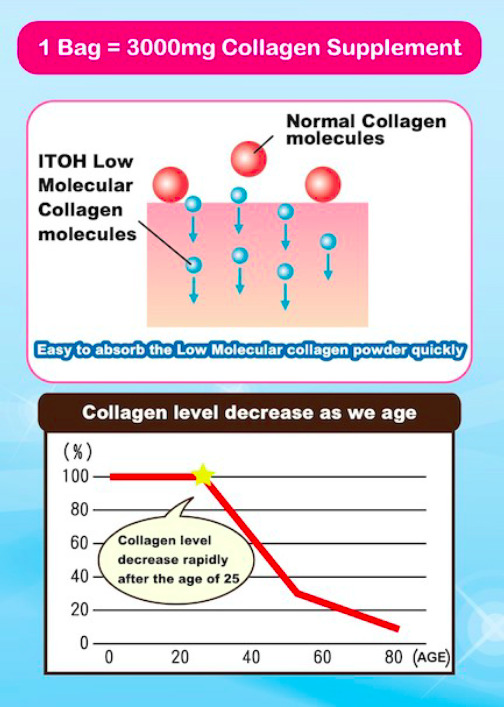 The low molecular powder enhances the absorption of collagen, allowing you to capture all the benefits the collagen contributes. 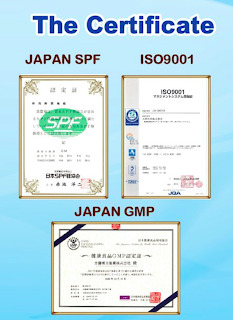 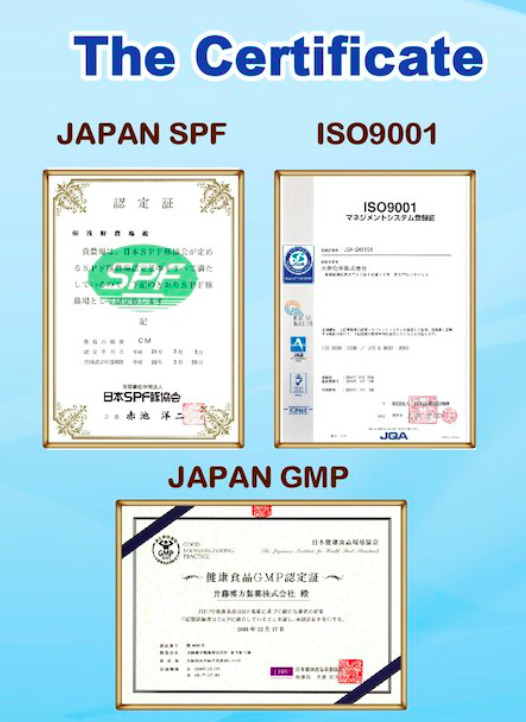 Itoh Collagen powder is extracted from health pigskin and cartilage, which are tested by Japan SPF Standard. The fat and gelatine are removed through high purification technology, thus Itoh collagen is surely safe and tasteless. 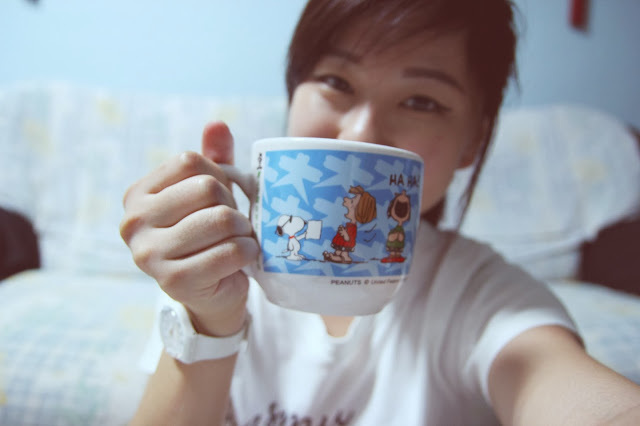 In fact, it sure does taste like nothing when I drink it with my honey drink. 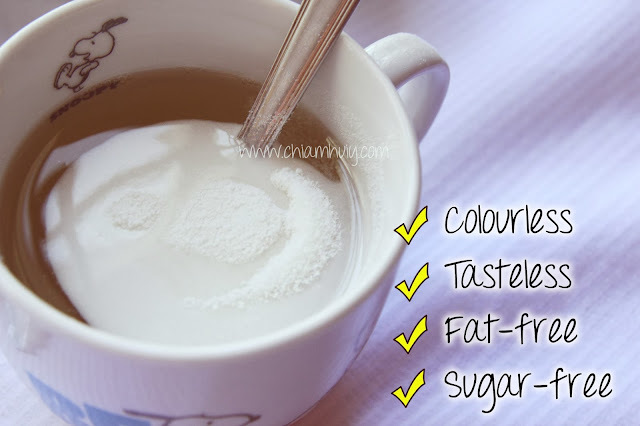 But it sure does look a little cloudy than a normal honey drink.